We have all seen how the smartphone has taken over almost every aspect of our lives in recent years. From replacing simple gadgets like torch lights, calculators, alarm clocks to bigger appliances like TV, music system etc. it has gone a step further in manipulating even how we perceive news and other things. A recent survey by eMarketer had found that an average smartphone user spends about 4.5 hours on mobiles every day, of which 3.5 hours are spent on mobile applications. Hence it has almost become a prerequisite for any aspiring business to have a custom mobile application. 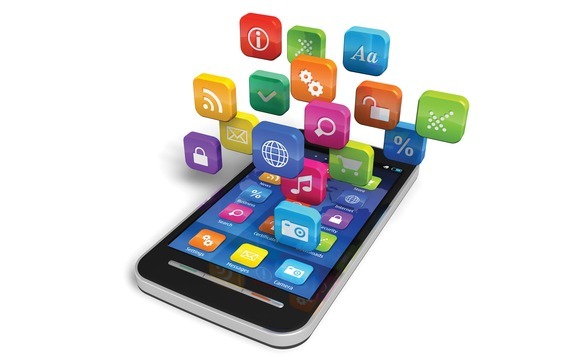 A custom mobile app is a mobile app that can be partially or fully personalized to suit your business needs. Such an app is designed to address a particular set of an audience rather than providing a solution that caters to a general audience with varying requirements. This is the reason why custom mobile app development is getting popular and proving to be a lucrative option for businesses around the globe. tively insignificant in number and hence not to be considered while developing a custom mobile application for your business unless the requirement so arises. Just to give an overlook, according to a report shared by research firm Gartner, a record 99.9 per cent of smartphones sold worldwide in 2017 supported either Android or iOS, of which Google’s Android is the clear leader accounting for 85.9 per cent. Nevertheless, iOS, though significantly less in number, is nothing to be neglected as it has been found by marketing experts worldwide that it is the platform that generates more revenue for your business than Android because of its base of users with more buying power. Enhances efficiency: Since these apps are custom-made to suit your business requirements, it acts like a comprehensive app fulfilling different functions and eliminates the requirement of multiple apps. Also, as these apps are tailored-made keeping your working style in mind, it enhances the productivity of your employees, which in turn results in improved business ROI. High scalability: Unlike regular apps, these apps can easily be scaled up to handle the load in the event that your business starts growing. Data security: A general business app may or may not have the specialized security features that can ensure the protection of your business data. But a custom app tailor-made for your business needs can assure your data security as relevant security measures will be put in place during app development. Easy integration: Unlike general business apps, custom-made apps are built taking into consideration your current business software and hence are guaranteed to integrate well and function without any errors. Maintenance assurance: If you’re using a general business app built by an unknown app developer, there’s no guarantee of its maintenance. You might also have to discontinue it and start looking for another if the developer decides to suddenly pull out the app for some reason. By having a custom mobile app built for you, you can rest be assured that you’re in complete control of it. 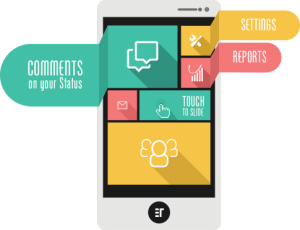 Improves customer relationship: A customized business app lets you send personalized updates related to your products and services to your existing customer base in real-time. It also enables you to access client details and receive feedback, which would prove helpful to improve customer relationships. Enables client data retrieval: With the help of simple forms and surveys in a custom mobile app, you can collect the required client information discreetly. This feature saves the time of clients and employees, as documents need not be submitted physically. Easy project management: Custom apps can be built to keep a track of your project progress and deadlines. Through these apps, updates can be sent after the completion of each phase of the project and help in maintaining the billing cycle for each stage of the project. Real-time project access: A custom mobile app lets you have easy access to all your work documents. Just synchronize your phone with your desktop and you can have all your work documents, tasks, calendars, etc. at your fingertips. It also, lets you retrieve brochures and contracts, which you can easily share with your clients. Improves accountability: You can easily capture ideas and thoughts related to your customer, on the phone for reference at a later time, and have these recordings stored directly in secure locations with the help of a custom mobile app. Since these can only be accessed by authorized staff, it helps in improving accountability and also serve your customers better. With our team of highly skilled and innovative developers, Spericorn prides itself of being among the most sought-after and trusted mobile application development companies. We make sure that each app we develop is agile and meets with all the requirements of our client and also on-par with industry standards. We, at Spericorn, understand that several versions of an application will have to be made for the various native and cross-platforms from time to time and this keeps the mobile app development sector dynamic. With the experience of having successfully delivered over five hundred mobile applications for various clients around the world, we have also made significant contributions to healthcare, banking, retail, logistics, entertainment, human resource, and education. With updated tools and frameworks, we deliver cutting-edge app based on your necessity.